Westchester Youth Soccer League (WYSL) is proud to announce the hosting of a Westchester based US Club Soccer PDP. An important goal of US Club PDP is to provide an opportunity for the county's elite youth soccer players to be scouted, evaluated and identified by U.S. Soccer National Staff and Technical Advisors for inclusion into U.S. Soccer's National Team program. This is a comprehensive national scouting and recommendation program used to form a player pool from which top players are invited to attend an id2 Program Training Camp.There is no cost to the player to participate, be recommended or scouted for the id2 Program. 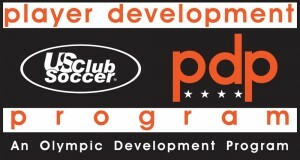 US Club Soccer / id2 National Player Identification and Development Program and Player Development Programs (PDP) are sanctioned as an Olympic Development Program by the United States Olympic Committee and U.S. Soccer Federation. Inclusion in WYSL / PDP is by INVITATION ONLY based upon recommendations from Directors of Coaching, club officials and area coaches. This fall's PDP will be targeting elite boys and girls 2004-2005 players. For more information on the id2 Program, click here.